Our latest photo report brings us to Disney’s Hollywood Studios in the midst of Disney’s Hollywood Studios appreciation week for a look around at what’s new and exciting in tinsel town. Ready when you are C.B.! Streetmosphere characters Mayor Sonny Burbank and Evie Starlight welcome guests to the park. Officer Percival Peabody of the Hollywood Police Department also ensures that guests walk, and not run to their first destination. On May 1st 2017, Disney’s Hollywood Studios celebrated its 28th birthday! The park of course opened as the Disney-MGM Studios in 1989, changing its name in Early 2008. The only opening day attraction left standing at this point is the Great Movie Ride, but rumors persist of even that closing in the next 2 years. For whatever reason, the Epcot Flower and Garden Festival MagicBand is now available at the Studios. 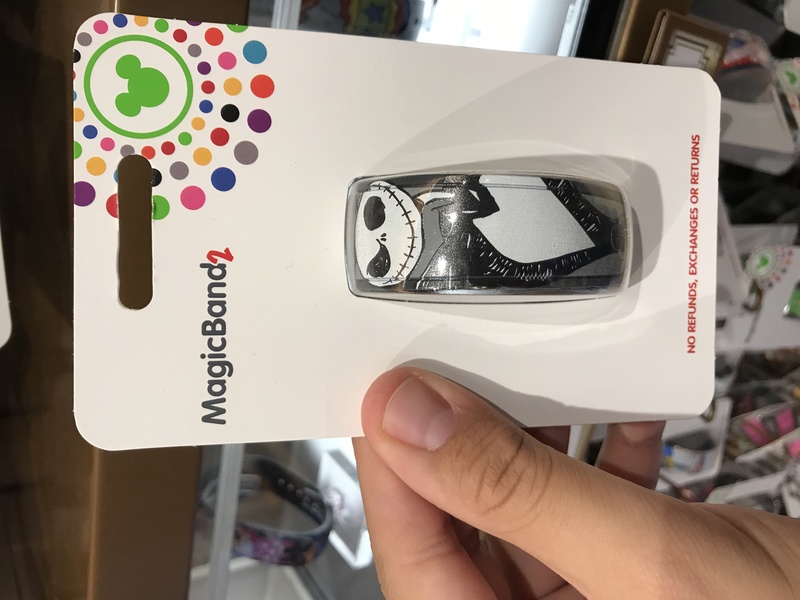 A number of older designs have been updated for the MagicBand 2, some even using the new white and black band base colors. 40th anniversary banners remain outside of Star Wars Launch Bay. Wait times for the character meet and greets have been short lately. Chewbacca was posted as 20 minutes. Only 15 for Kylo Ren. Even the new BB-8 meet and greet has had short wait times. New designs celebrating the 40th anniversary of Star Wars can be found at the D-Tech on Demand location inside of Star Wars Launch Bay. Skywalker Vineyards wines are also available now. We actually bought a bottle and tried the new flight at the Brown Derby, so we will dedicate a post to this in the coming days. Work continues on the Star Wars and Toy Story themed lands. This barrier for Star Wars land continues to rise over the walls. A peek through the walls at the beginning of PIXAR Place reveals the current state of Toy Story Land. There appears to be a structure of some kind being erected in the middle of the Slinky Dog Dash rollercoaster now. It appears that the coaster will barrel through it, whatever it is. These pics from a few days later show some progress on the walls going up at the other end of PIXAR Place. The Pirates of the Caribbean: Dead Men Tell No Tales preview has moved in at Walt Disney: One Man’s Dream. The Moana meet and greet recently closed inside, leaving us to believe that the Star Lord and Groot meet and greet coming will be located here. The exit is currently boarded up as well. A costume worn by Javier Bardem in Dead Men Tell No Tales is now on display. The preview is quite good, leading me to believe we might just be returning to form in the series. It is now certain that this lone standing section of New York Street will remain as modifications are being made to the structure. Meanwhile, Star Wars Land rises next door. Not only are the facades being touched up, but new elements are being added. A new awning was installed at the end of the street. With much of the original signage stripped, it will be interesting to see what becomes of this area. The former Writer’s Stop lies behind walls, amidst rumors that this may be the Club 33 location for Disney’s Hollywood Studios. How cool would it be to either here through a facade on New York Street? No trip to Hollywood Studios is complete without a ride on Star Tours. In Tatooine Traders, a number of new items can be found. The Droid Factory Build Your Own Astromech experience has moved towards the back of the store now. Build Your Own Protocol Droid now occupies the former space of the Astromech experience. Two new hoodies for sale, both $59.99 each. Some new Indiana Jones merchandise was recently released, including this puzzle for $19.99. A selection of Cars 3 merchandise has moved in at Reel Vogue on Sunset Boulevard. How cute is this Little Green Men emoji pillow? I also love this Little Green Men light-up bowling game that recently showed up. Not only are the trolley lines back on Sunset Boulevard, they now run the entirety of the length of the street! I often find Hollywood Studios to be the prettiest of the four parks in the evening thanks to the neon lighting all around. Those structures you mentioned that the Slinky Dog Coaster would race through … Weren’t there rings in the concept art that the track was supposed to run through? Could the structures be those? In any case, I always love seeing the construction progress, so thanks for putting these together. Agreed on Studios at night, but it looks like a lot of burned out lighting. Was it as noticeable in person? Isn’t the Indiana Jones Show also an opening day attraction ? Love these reports! The street performers are fantastic, Officer Peabody is a riot.